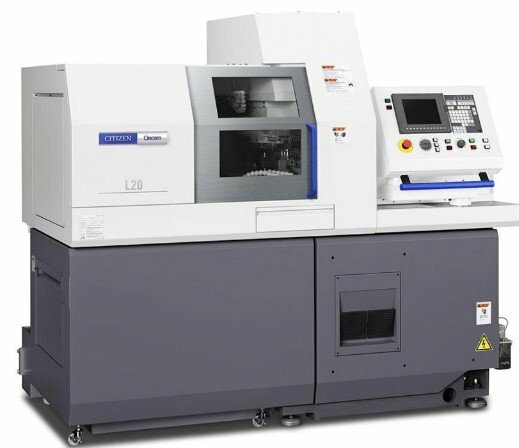 The new L220-VIII offers increased flexibility with up to 37 tools. The back working tool post utilizes up to 4 fixed or rotary tool holders for increased over lapping machining capabilities. Another major feature is the ability to switch between guide bushing type and guide bushing-less type. This feature is provided as standard; the guide bushing can be fitted or removed very quickly with a simple operation. 7 rotary spindles (3 can be swiveled 90 deg. 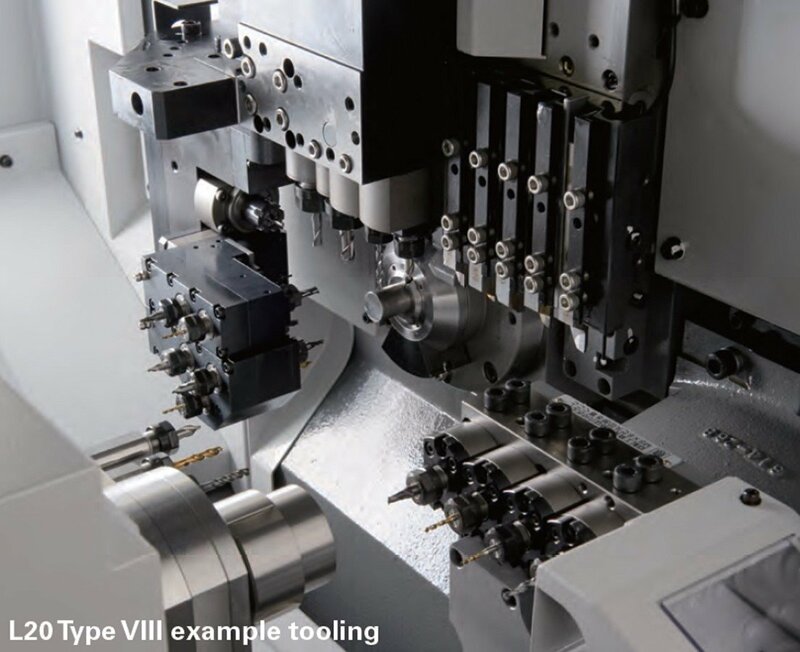 between cross and end face machining) and 5 Turning tools fitted as standard for turing, grooving, screw-cutting, parting-off etc. 3 front-working positions as standard. 4 back-working positions with 2 rotary GSE3507 as standard.